I do a lot of visual migration counts, abbreviated as ‘VisMig’ in the UK, and known as ‘trektellen’ in Dutch. Often this involves interesting observations, but they do not necessarily convert well into a separate blogpost each. So instead, from now on, when time permits and when there is something interesting to share, I will make a monthly summary of interesting records. Since the previous month has been very interesting, here are the highlights of March 2018. The Holtingerveld, an area close to my parents' place annually is one of the more northwesterly areas of the country where one can more-or-less reliably expect Cranes to migrate past. Last year's count resulted in 77 Cranes spread over 3 days, this year we were a bit less lucky with only 14 birds passing by on one day. 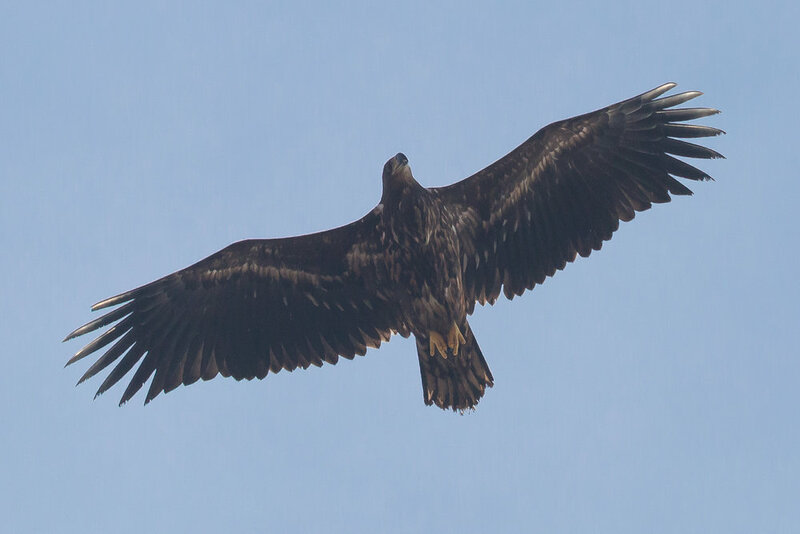 That alone would have made it a good day, but a juvenile (/2cy) White-tailed Eagle gave a show in the afternoon, by flying directly over our heads. Despite the rapidly expanding distribution in The Netherlands, this is still a very rare bird in this particular area, and my sighting was the first documented (and serious?) observation for the area. The first extremely early Ring Ouzel — in fact, just like the bird I had last year at the Holtingerveld, which was even earlier on March 4th —, very enjoyable views of Velvet Scoters, 4 Greater Scaup (rare here! ), a first Little Ringed Plover and the first Spoonbill. 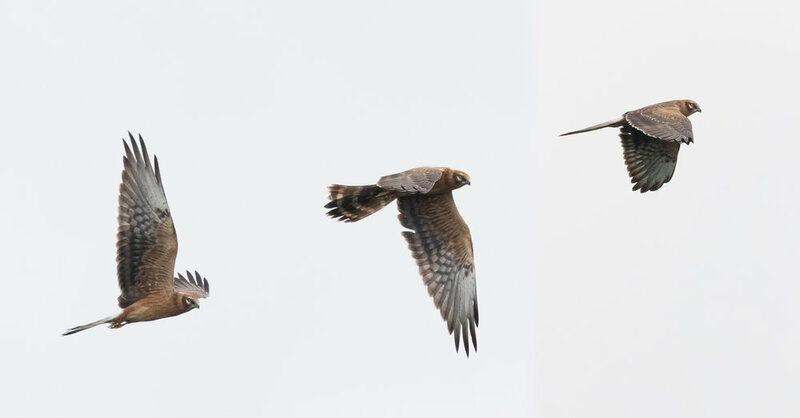 Also, the onset of Marsh Harrier migration with a whopping 8 birds passing De Vulkaan, a surprisingly high number this early in the season. Below is an ‘artist impression’ of how these Marsh Harriers should be feeling: constantly harassed by small groups of Crows. There were so many thrushes, if I would not be looking South, you could have made me believe it was Autumn. Migration was very dynamic as well, with many groups of birds de- and ascending. Unfortunately, during the hour the bulk of the birds passed I was on my own and thus must have missed a lot of the high-flying birds, as they were flying everywhere and were hard to spot. Besides the thrushes: good numbers of Grey Heron, 3 Black Redstarts and again some lovely Spoonbills and Marsh Harriers battling against the weather. Terrible weather conditions: 6 Bft easterlies at freezing (0°C) temperatures. Very uncomfortable. But the birds were good: 500+ (Eurasian) Teal, 5 Garganey, 300+ Little Gulls, and a first this year for: Red Kite, Sand Martin and a very early Whimbrel. 300 Song Thrush had decided weather conditions were not good enough and migrated south again and they were right. Started the count at 06:30hr at sub-zero temperatures (-3°C) with a Shaman on De Vulkaan (rhymes in Dutch). He told me it would be a great day and many birds would fly past. Well, I guess I just did not see the birds and they were flying too high up. It did, however, turn into a nice (sunny, 3°C) day… after 5 cripplingly cold hours in a 5Bft easterly. The summary should suffice to say it was a great day: 2 Pale-bellied Brent, 1342 Wigeons, 874 (Eurasian) Teals (a new record count), all enjoyed in fantastic light conditions and relatively close views. But the best record of the day (and of the year so far): 2 Parrot Crossbills migrating north, one of which was a beautiful male. This is only the 3rd spring record in de Trektellen database (I'm omitting 2 dubious, undocumented, claims), but in general a migrating pair in spring is a very rare observation. Documenting these birds is very important, as ID'ing them by ear and in flight often results in mis-identifications, although in this case there was absolutely no doubt about it in the field. I feared the calling birds did not end up on the recording, because it was located on the other side of the dunetop, but luckily they did. Below, the characteristic call and sonogram (also on waarneming.nl). The characteristic sonogram of a Parrot Crossbill call that fits snug between 3 and 4 kHz. Two Whooper Swans (rarely seen in March) on the 23rd; another Red Kite, Sand Martin and Glaucous Gull on the 24th; 5 Greater Scaup and 4 Velvet Scoters on the 26th; 123 Greenfinches (a new spring record) and a Great Northern Diver (unfortunately still in winter plumage) on the 27th. Another fantastic day with almost 90 recorded species. After I saw Cranes at the Holtingerveld in the beginning of March, I did not expect to see a good number of birds anymore, because they are so rare at Dutch coastal sites. This day, however, a group of 15 Cranes decided to take a coastal route Northwards. We picked up on the group far south of The Hague and through local WhatsApp groups the 15 birds have been followed (30+ observations) all along the Dutch North Sea coast from Breskens to deep in North Holland and possibly Friesland, a highly remarkable route for this species (see below). Trajectory of the group of Cranes (by Corstiaan Beeke). Besides this day being great for Cranes, the other birds also did not disappoint: a spring record for Red-breasted Merganser (91 birds), the first documented Tree Pipit (waarneming.nl) for The Netherlands, 1100+ Wood Pigeons and last but not least: an almost quadrupling of our spring record Spoonbills with exactly 180 birds flying North. For a change: no remarkable observations, but this very beautiful scenery on arrival at the counting site. 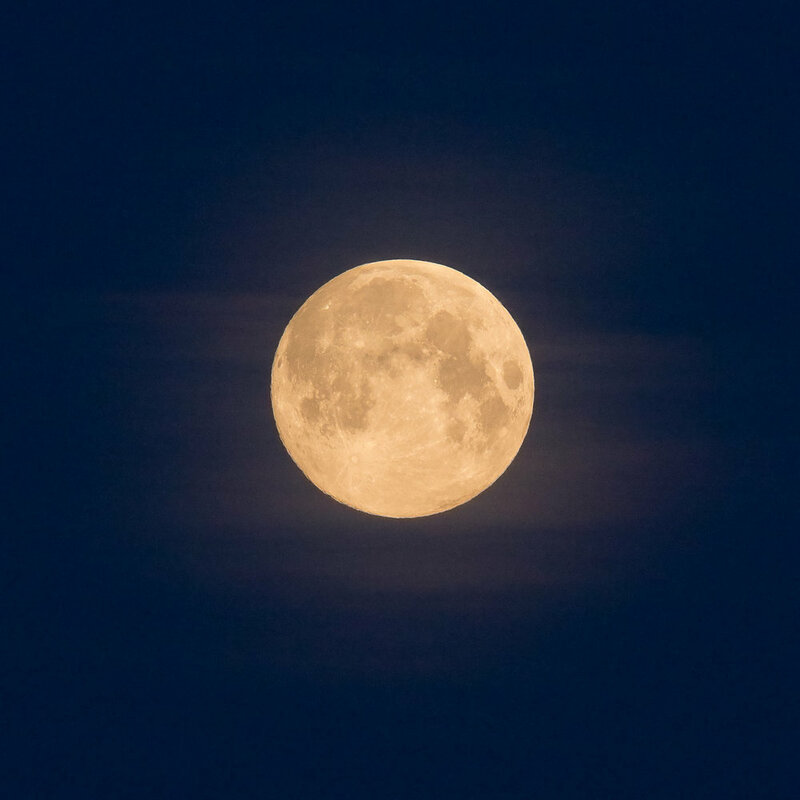 Rarely have I seen the Moon in such perfect conditions. And that concludes March 2018, a month with many interesting days, many record counts and (too) many cold and windy days. Ross' Gull (Rhodostethia rosea). Note the black subterminal spots on all primaries including P1.